Tom Sosnoff is a recognized online brokerage innovator and sought-after financial educator. He is a true visionary and serial entrepreneur who co-founded thinkorswim in 1999, tastytrade in 2011 and newly launched tastyworks in 2017. Leveraging over 20 years of experience as a market maker for the Chicago Board Options Exchange (CBOE) and one of the original OEX traders in the S&P 100 Index pit, Tom pursued a vision to educate retail investors in options trading and to build a superior software platform and a brokerage firm that specialized in options. His efforts ultimately changed the way these instruments traded by pioneering everything from single click complex trading functionality to multi-product access from a single platform. Currently, Tom is the co-host of tastytrade Live and continues to drive innovation and know-how to the do-it-yourself investor. 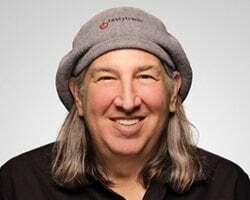 Tom has been named to Techweek's Tech 100 list, Crain's Chicago's Tech 50, and has spoken at Chicago Ideas Week, Techweek Chicago, TD Ameritrade's Market Drive events, Money Show, University of Chicago TEDx and the 'He Said She Said' Tour for tastytrade. Tom received the Ernst & Young Entrepreneur of the Year Award in 2014 and has been featured by prominent publications such as Chicago Tribune, Crain's Chicago, Traders Mag and Barron's.